Jane Eyre (Puffin Classics) (Paperback) | Let's Play Books! 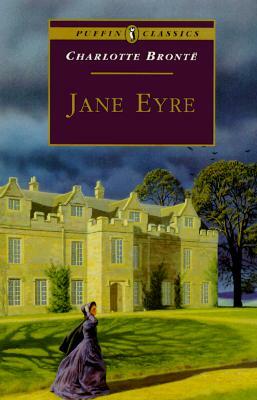 Jane Eyre is one of the most loved English Classics of all time! Mystery, hardship--and love. Jane comes from nothing but she desires everything life can offer her. And when she finds work as a governess in a mysterious mansion, it seems she has finally met her match with the darkly fascinating Mr Rochester. But Thornfield Hall contains a shameful secret--one that could keep Jane and Rochester apart forever. Can she choose between what is right, and her one chance of happiness? Charlotte Bronte (1816-55), sister of Anne Bronte and Emily Bronte. Jane Eyre appeared in 1847 and was followed by Shirley (1848) and Vilette (1853). In 1854 Charlotte Bronte married her father's curate, Arthur Bell Nicholls. She died during her pregnancy on March 31, 1855 in Haworth, Yorkshire.